For the first time ever, The Atlanta Opera has commissioned a children’s opera for the 2011-2012 Studio Tour! 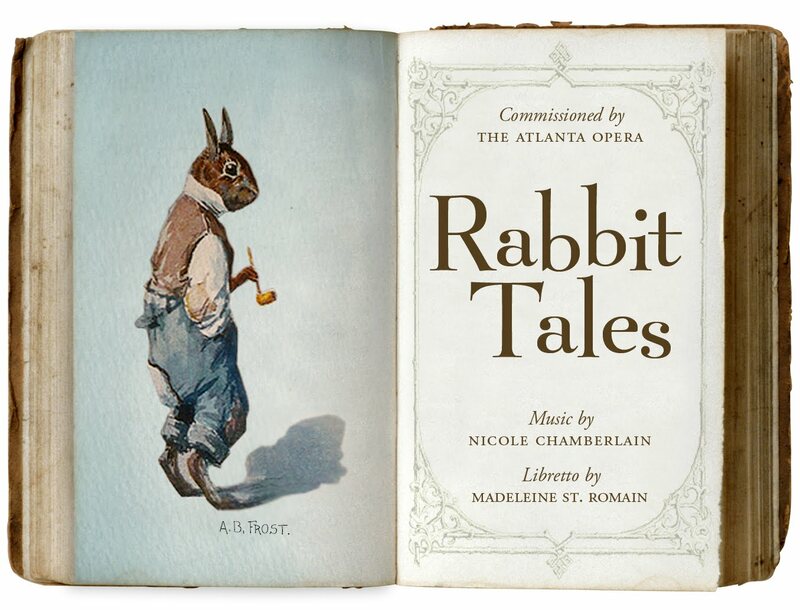 The opera is called Rabbit Tales, and is based on the whimsical Br’er Rabbit stories made famous by Joel Chandler Harris. Many of you have probably heard the news already, but we wanted to share with you a little bit about the process of commissioning, writing, and premiering Rabbit Tales, and how excited we’ve been to see this idea grow into a full-fledged operatic gem. 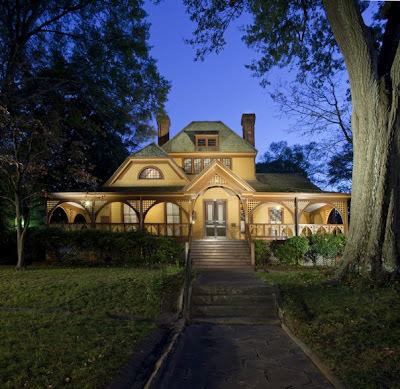 After visiting The Wren’s Nest House Museum, the former home of Joel Chandler Harris, Ms. Iden was very impressed. 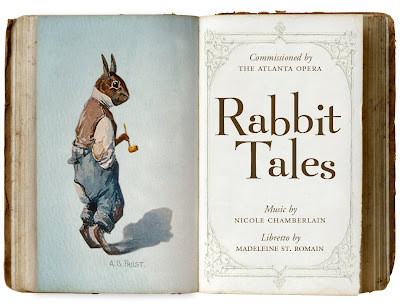 She returned to The Wren’s Nest to meet with Executive Director, Lain Shakespeare, to discuss the idea, and she found that, “He was whole heartedly behind it.” Since the Br’er Rabbit stories are now in the public domain, there were so many possibilities and places the opera could go. To begin the transformation of this idea into an opera, the next step was finding a composer and a librettist. 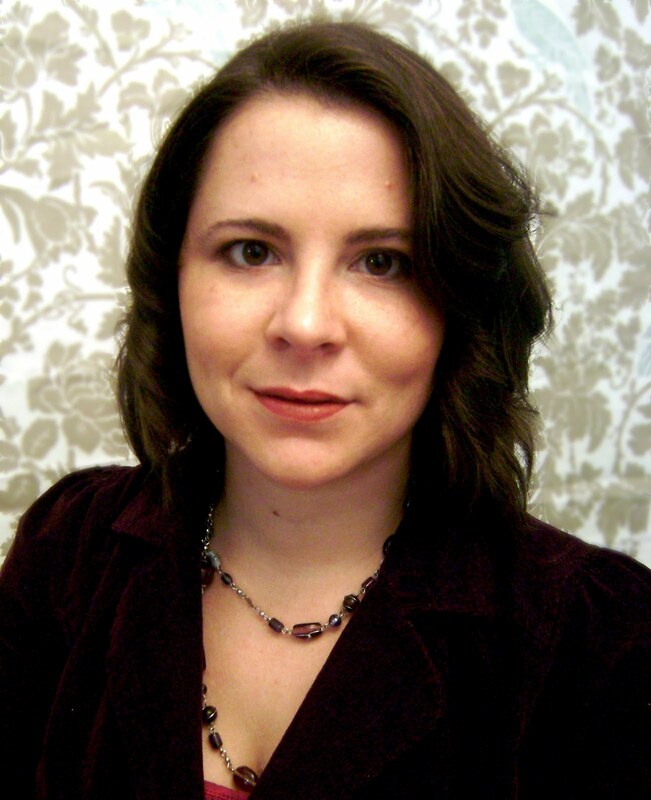 Nicole Chamberlain had been a composer who participated in the 24-Hour Opera Project in 2010, and is active in the Atlanta music community. Nicole was enthusiastically on board to compose the musical score for the opera. Madeleine St. Romain, who was recommended by our Foundations and Grants Manager, Greg Carraway, was asked to adapt the stories of Br’er Rabbit, and add her own twists with other folklore from around the world. 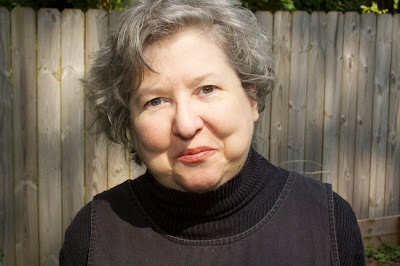 Librettist Madeleine St. Romain. Credit: Hollis Ellison. Once the score and libretto had been completed, Emmalee Iden tracked down area director and puppeteer, Park Cofield, to bring the story to life. His eye for details, and experience with creating imaginary worlds for children, has been instrumental in staging the production. 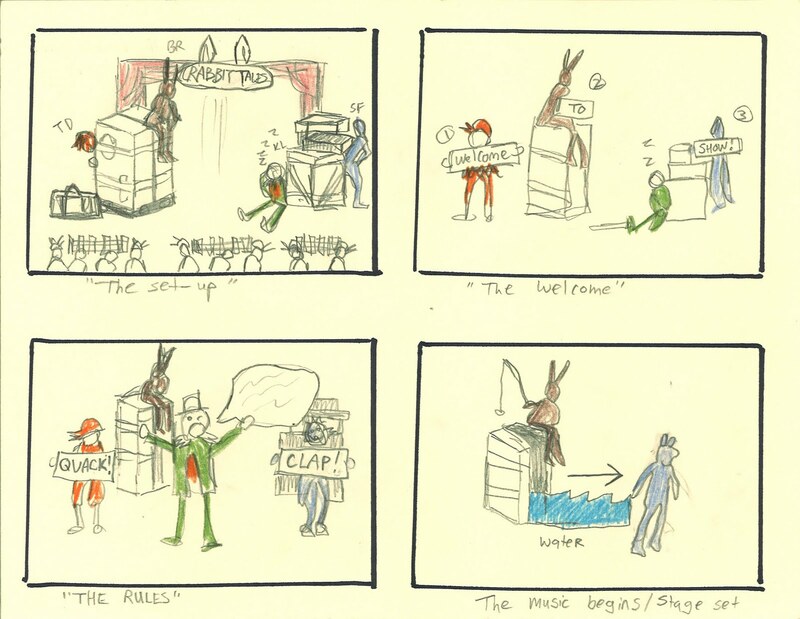 Cofield created storyboards that illustrate each scene of the opera. The set designs, by Atlanta Opera Production Manager, Michael Benedict, and costumes by Atlanta Opera Costume Designer Joanna Schmink are so vibrant and full of life. Characters include Br’er Rabbit, Teenchy Duck, Sister Fox, and King Lion. Rabbit Tales will have its public premiere on October 29, 2011 at The Wren’s Nest on the outdoor stage in the natural grass amphitheatre. The audience will have an opportunity to meet the creative visionaries of this project, in person. 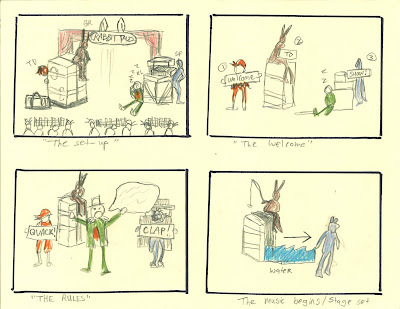 The production team of Rabbit Tales was recently featured on WABE’s City Cafe with John Lemley. To listen to this story, please visit pba.org. To book a performance of Rabbit Tales, and to find out more information, contact Emmalee Iden at 404. 881.8883 or eiden@atlantaopera.org.